I used to visit Milwaukee a lot. It was years ago and it was for business so I never really thought of it as a place to visit for fun or food. 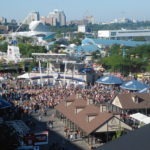 We were recently invited by Visit Milwaukee to come and experience all that Milwaukee has to offer the Food Travelist. In one word I can say I was – surprised. 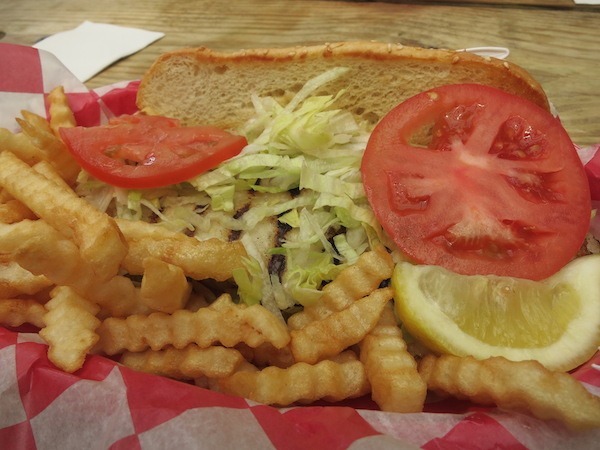 Not only does Milwaukee have many fantastic food choices it also welcomes you whole- heartedly with a wide smile and real gladness that you’re there to visit. Milwaukee is a mid-sized midwestern city of about 600,000 people. Located on Lake Michigan, it’s beautiful, clean and offers so much to see and do. When you think of Wisconsin you might think beer, cheese and brats, and they have all they for sure. But that’s just the beginning. You can happily eat your way through everything from great local farm-to-table, taste the spirits of local craft distilleries, enjoy international and fine dining, and much, much more. Here are just a few of the highlights we experienced that you might enjoy. 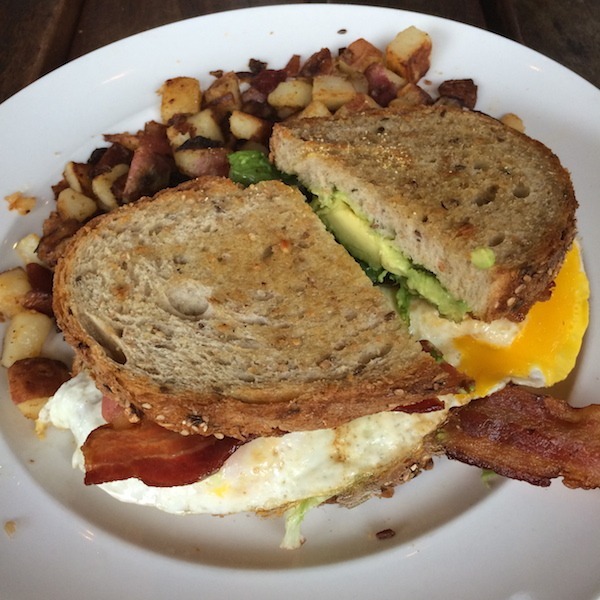 Belt and A for breakfast at Cafe Benelux includes Smoked Applewood Bacon, lettuce, tomato, two fried eggs, avocado, basil aioli, nine grain bread, and benelux breakfast potatoes. The folks in Milwaukee really know how to start the day. 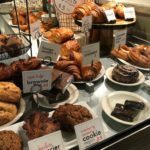 There are plenty of options for wonderful breakfast fare whether you’re just looking for a great cup of coffee or a full gourmet breakfast. 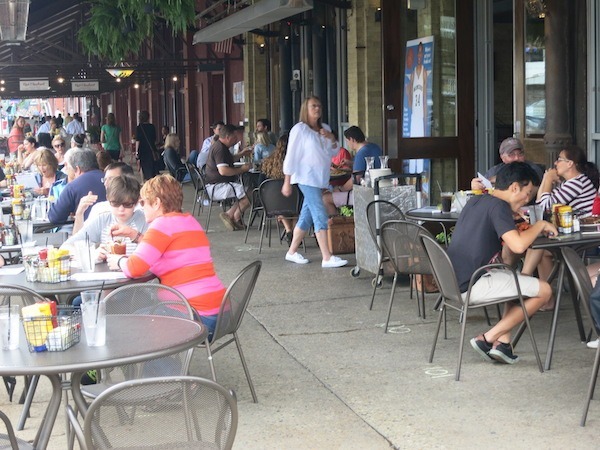 One great option is Cafe Benelux located in the Historic Third Ward right across the street from the Milwaukee Public Market. Named after the European “Benelux” region of Belgium, Netherlands, and Luxembourg, they feature regional favorites like mussels and frites and pannenkoeken. They serve breakfast through midnight every night of the week! Their expansive menu is bound to have something for everyone. They’re also know for their loaded Bloody Mary and other cocktails. Not a breakfast person you say? No worries they serve tasty lunch and dinner too. Locavore, located in the Potawatomi Casino serves up a mean brunch. You are sure to enjoy favorites like chicken and waffles, corned beef hash, biscuits and gravy. But if you’re feeling adventurous there are also some unique dishes like the ridiculously decadent S’mores French Toast. This sweet morning starter is like indulging in dessert for breakfast. Chocolate ciabatta, toasted marshmallow fluff, graham crackers, bacon, 100% Wisconsin maple syrup all together on one outrageous plate. Get one for the table to share. It’s truly an original dish. Chef Van Luu, a Charlie Trotter alum, enjoys working with local farmers and foragers and loves to have the ingredients speak for themselves. Locavore is open for brunch and dinner. They also have a full bar menu. Story Hill BKC (Bottle Kitchen Cup) is definitely a must-stop in Milwaukee. We can’t wait to go back to eat there again soon. The food is inspired by Upper Michigan flavors with a global flair. Everything coming out of the kitchen was stunning and delicious. They serve brunch all-day every day from 9am-2pm. Dishes like Baked French Toast Bread Pudding, The House Special Crepe with smoked Berkshire loin bacon, Clock Shadow quark, baby kale, onion marmalade and baked eggs, Shakshouka, house made sausage and baked tomato bread are just the beginning. They also serve dinner and have a killer happy hour with great food and $2 off all tap beer & tap cocktails Tuesday – Saturday. Don’t miss it! 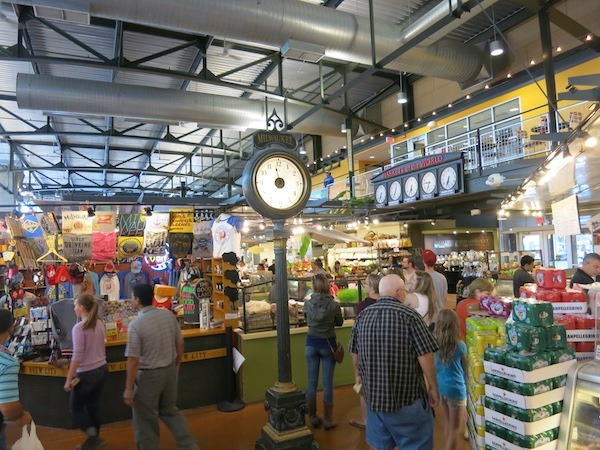 Start in one of the liveliest parts of Milwaukee, the Historic Third Ward, which features the Milwaukee Public Market, the Third Ward Riverwalk, and plenty of other restaurants, galleries and boutiques. Milwaukee Public Market Reminiscent of many other public markets, the Milwaukee Public Market is loaded with food shops and restaurants. From affordable fresh seafood to bakeries and hand crafted candies. Also offering classes and events, the market really has it all. Eat in the market or grab the makings of a perfect picnic basket to go. Either way you’ll like what you find. 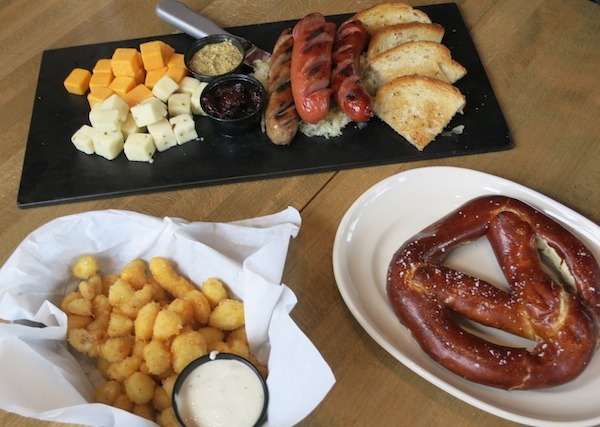 The middle of the day is a great time to taste of the local snacks like sausages, cheese curds and pretzels. If you stop by the Harley Davidson Museum (which is another great spot in Milwaukee – whether you’re a fan of motorcycles or not you will find this museum and the Harley history fascinating), be sure to stop in at their restaurant Motor. We loved the ambiance and their fried cheese curds were among the best in town. Their motto is bold American classics, served up classic Harley-Davidson style and we would have to agree. If you’re nearby, you can purchase a Museum Mug in The Shop and get a $3.50 draft of choice every time you bring it back to Motor. You can register your mug on their site and receive quarterly member updates and previews of events. Whether you stop in for appetizers, drinks, burgers, salads, or BBQ you’ll enjoy the Motor vibe and the delicious food choices. Want some super premium ice cream locally made with 14% butter fat? Try Purple Door Ice Cream. 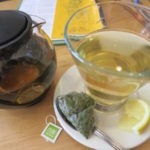 They have all the classic flavors and some really creative ones too – like raspberry green tea, absinthe, and blueberry lemon. Can’t decide which flavor to get? Try their ice cream flight! 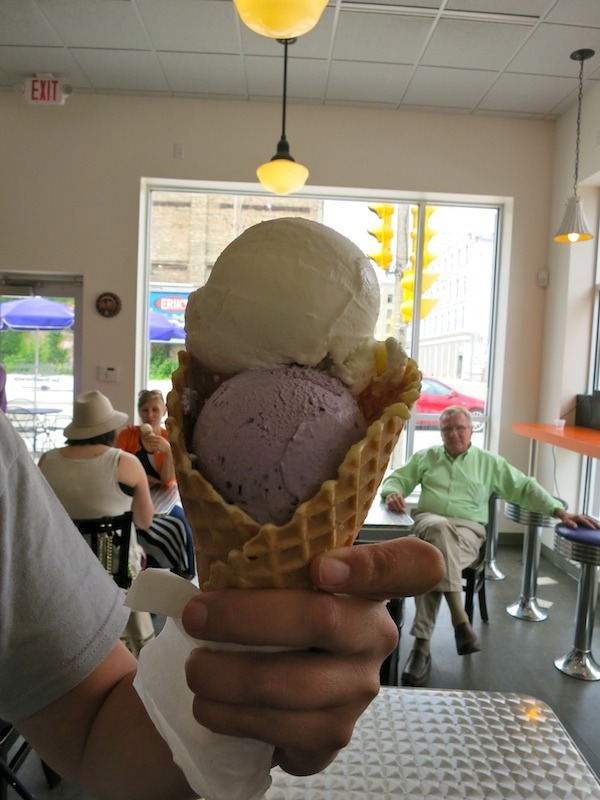 If you live in Chicago you can also find Purple Door Ice Cream in pints at several grocery stores. Check the listings for the one near you. We love this super local company that makes the time to help others through their Milk for Milwaukee program that provides fresh milk to area homeless shelter residents. They also use recycled materials in their shop. Still have a sweet tooth? Right next door to Purple Door Ice Cream is Indulgence Chocolatiers. They have a shop and chocolate pairing bar that could give you an opportunity to stick around sampling for a few hours. 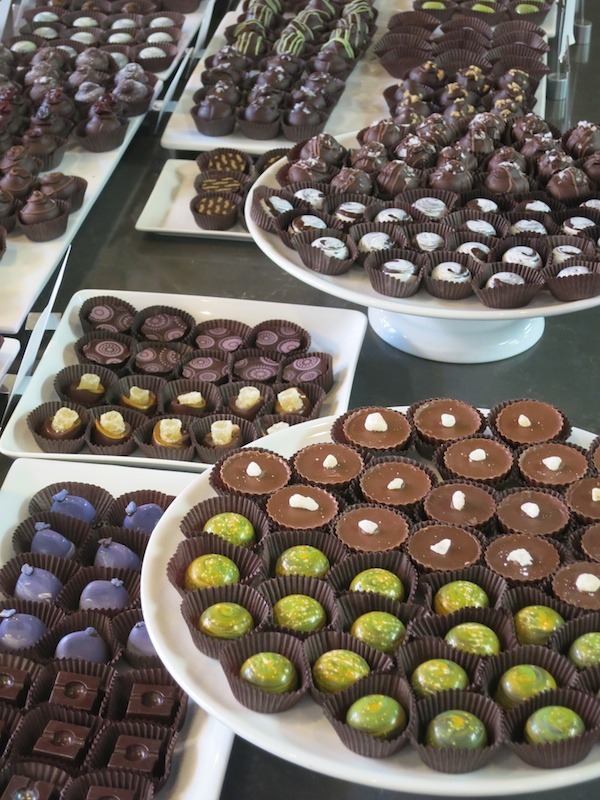 Their handmade truffles and gourmet bars and other chocolate delicacies are artisanal works of art. Pairing them with just the right wines, craft beers and cheeses is an experience in passion, quality and deliciousness. If you’re looking for a fun and funky waterside hang out (it reminded us of the Florida Keys) make your way to Barnacle Bud’s. It’s definitely a little off the beaten path and one of those places that you know you have to discover from the locals (or, of course, Food Travelist). The grilled grouper sandwich and crinkle fries were the perfect lunch and ample lobster on top of the Caesar salad was as fresh and tasty as could be. They also have burgers and sandwiches for the land lubbers as well as daily specials. Boaters pull along the dock for a quick bite or libation. They serve plenty of local craft beers and cocktails, have an oyster bar and Bloddy Mary bar to keep you relaxing there all afternoon. It’s not fancy but it’s friendly and fun. Want a little exercise while you check out the local sites? 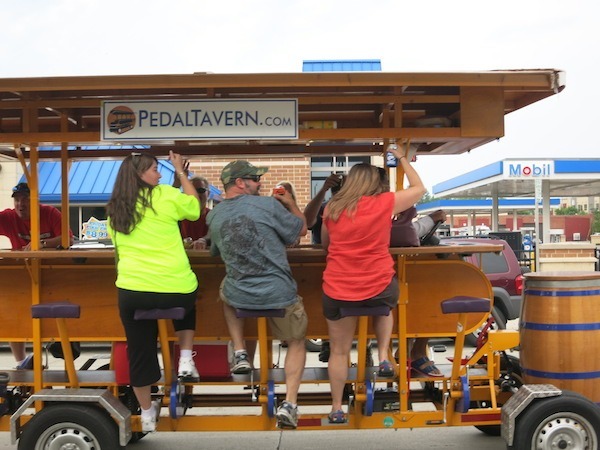 Try Pedal Tavern a bar that you pedal around town. The group that passed us on our visit looked like they were having a fun time working off their libations along the way. Pedal Tavern does tours, pub crawls and private parties. No worries about drinking and driving someone with a clear head is steering. So drink up and gets some steps on that FitBit too! Want to try some delicious beer and be entertained by the best brewery navigation specialist in Milwaukee? 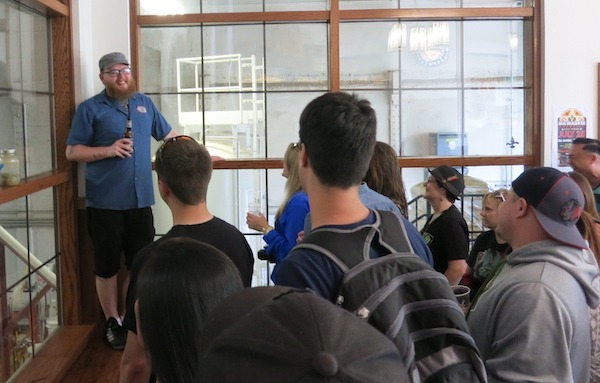 Try the tour at Lake Front Brewery. You’ll get to sample their beer and learn all about the process that goes into brewing and learn about their history too. Ask for tour guide Josh, you’ll be glad you did (he even has his own Twitter account! @Tourguidejosh). Be sure to try their best selling beer New Grist Pilsner Style Beer – it’s gluten-free! 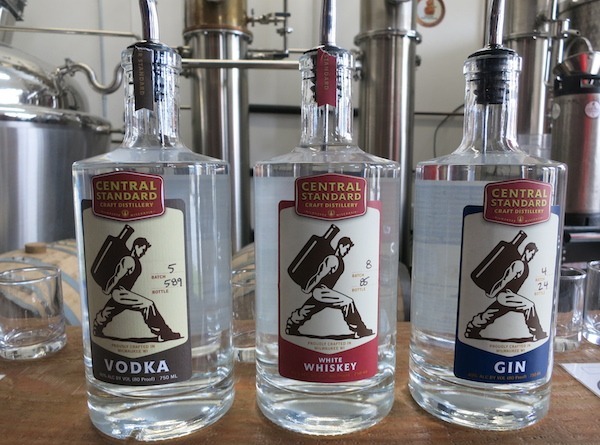 If you’d like to have a spirited cocktail, check out Central Standard Craft Distillery where you can find uniquely handcrafted vodka, gin and white whiskey. Enjoy the laid back tasting room and maybe even grab your own bite to eat and bring it in from the local food trucks that park outside. There are also tours you can take if you’d like to learn more. And learn about their bourbon program, that will celebrate two different bourbons! 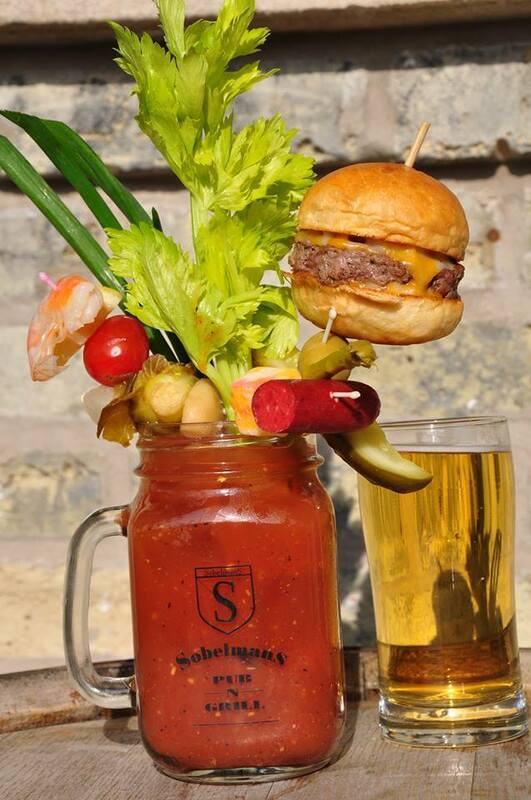 With names like The MasterPiece, The Baconado, The Crown Mary and The Beast you know the Bloody Mary’s at Sobelmans are gonna be different. Pack your appetite for these tasty cocktails and juicy burgers. You might also need some extra patience because this place is small and it gets packed. Every type of food you can imagine is available in the culturally diverse Milwaukee restaurant scene. 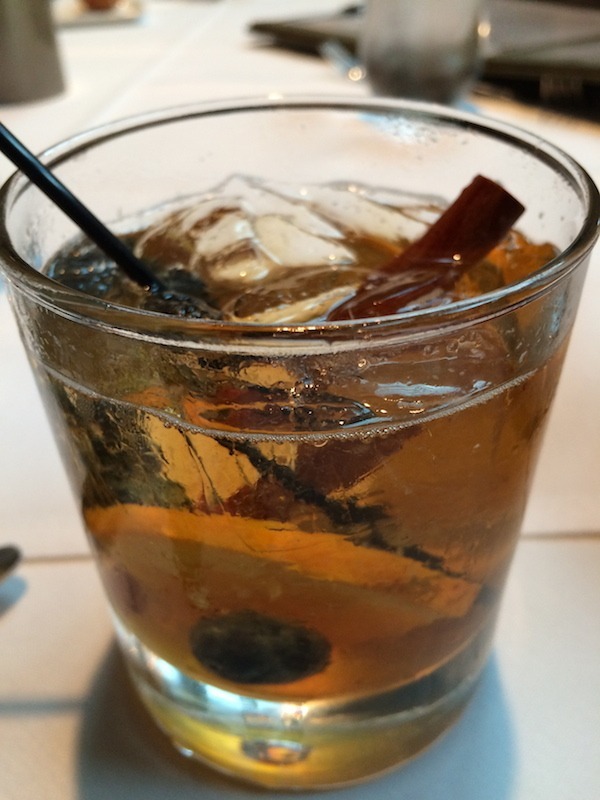 We did not have a chance to experience the classic supper club, but did try out the Milwaukee favorite and Wisconsin state drink the Old Fashioned along with delicious Kobi Beef Steak at Dream Dance Steak in the Potawatomi Casino and Hotel. 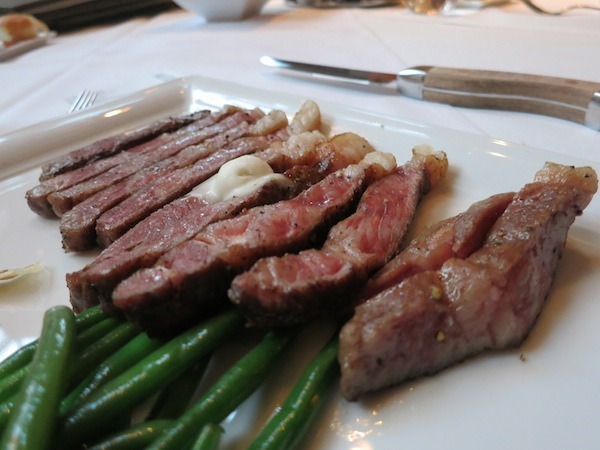 Perfect for an elegant dining experience, the restaurant blends refined innovation with the tradition and comfort of a Wisconsin steakhouse. Options include tasting menus, private dining and various specials. Wisconsin Blue Old Fashioned made with fresh blueberries. Craving pizza? 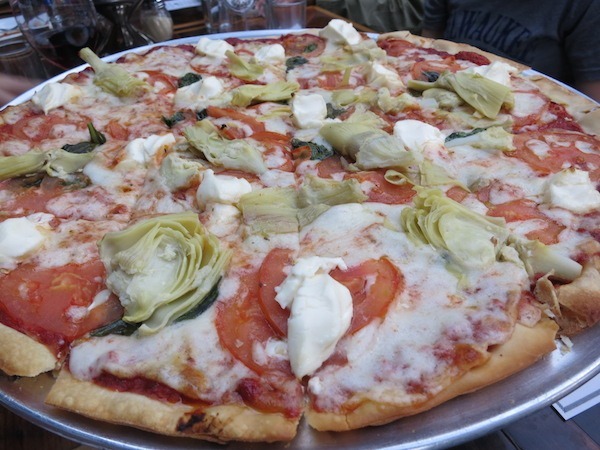 Try the Pizza Man with some unique toppings like the best-selling Artichoke A La Mode, which features artichokes, tomato, basil and cream cheese (shown above). They also have a gluten-free crust available. There’s also a wide range of appetizers, pastas and Italian entrees from which to choose. There’s have a full bar and extensive wine selection as well. 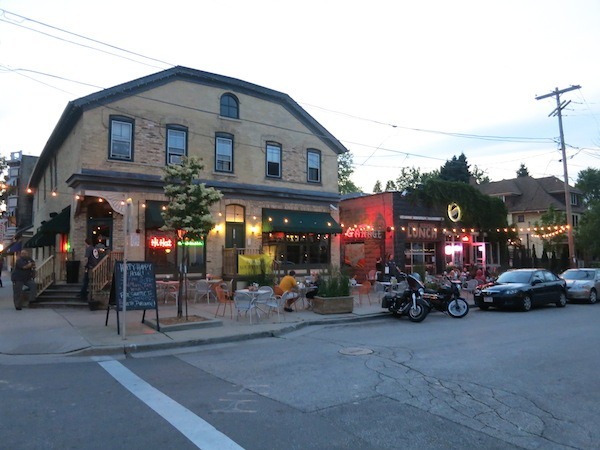 If you’re looking to do some exploring, walk down the nine blocks of Brady Street that run east to west from beautiful Lake Michigan to the Milwaukee River. You’ll find some of Milwaukee’s most charming restaurants, cute shops, bars and cafes. Located in Walkers Point, Milwaukee’s warehouse district you’ll encounter Black Sheep Tap Wine Bar. They have an inventive casual menu that includes “haute” dogs with hand-cut fries, sandwiches, bar favorites, small plates and desserts. Originally the Schupert-Zoeller Printing Company, Black Sheep features a modern look with tall ceilings and exposed brick walls. 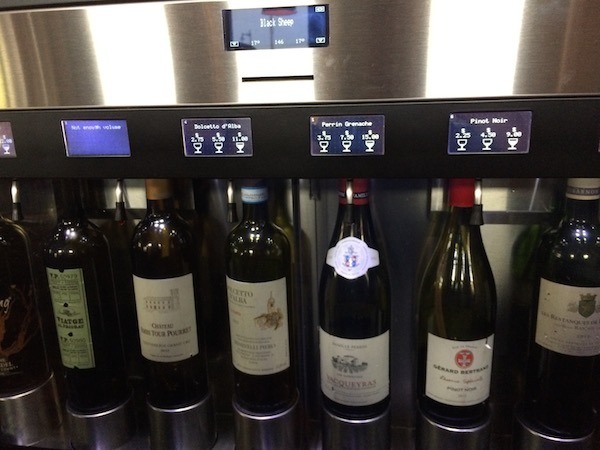 Check out their unique small-production wine collection from one of the 16 unique wine taps. Choose from three different pour sizes of either red, white or rose. The wines change frequently so you may discover a new special wine or your old favorite. 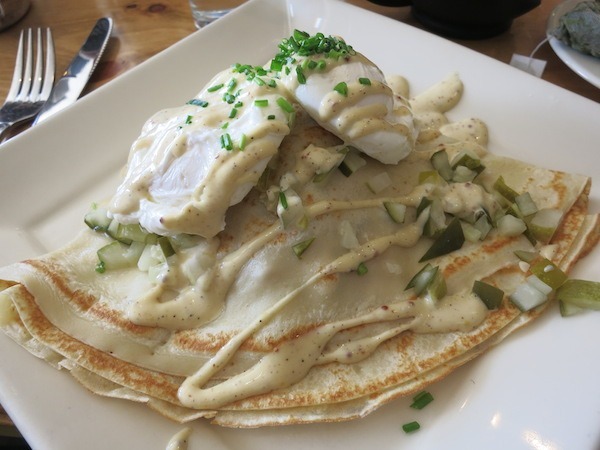 We loved the vibe of Black Sheep – very relaxed, friendly and laid back. Milwaukee, WI is a land of plenty whether you live close by or are visiting from far away. Be sure to check out all our articles about the different facets of this fun and tasty Midwestern town. 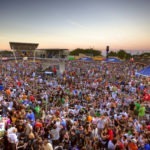 THE QUICK BITE: If you’re looking for food, drink and fun in a friendly city be sure to explore the tastes of Milwaukee. Whether you spend a weekend or a week you’ll find many different flavors to enjoy. Wow all of a sudden I felt hungry by all the food. especially the pizza and the Japanese kobi beef. We visited Lake Michigan last year and loved the whole area. I don’t think we got to Milwaukee but there’s always the next trip. I will be heading to Milwaukee to visit family while in the area, I’ll definitely keep a lot of your recommendations in mind! This is incredible! I really need to head out and buy an ice-cream now. Going to be honest had never heard of Milwaukee before but you’ve set my sense on fire so wouldn’t rule it out. Great post! This certainly isn’t the Milwaukee I remember from “Happy Days”! I have to admit, before reading this post, I too would have succumbed to the stereotype of Milwaukee as a city of bratwurst and beer. (Not that there’s anything wrong with bratwurst and beer). 🙂 It’s nice to know that there are so many diverse culinary options there! And the Pedal Tavern sounds like an amazing concept! Less guilt if I’m working off my brewskis while I’m imbibing them! I’ve also heard great things about the Harley-Davidson Museum. What a mouthwatering guide Sue!! All the dishes look delicious, but what make me really happy is to know that most of the restaurants work with local farms and products. The food taste much better than the industrialized ones, and it also helps to grow the local economy. Great! You’re so right Natalie! It helps the local economy and tastes so fresh. Thanks for stopping by! Whoa, I love that meal in a drink concept – wow. And yes, breakfast and a big one is one of my fave ways to start a great meal! It all looks so tasty! I think I just gained 5 pounds by looking at those pics. Ha! We hear you thankfully Milwaukee is a beautiful city to do lots of walking so it’s easy to work off those extra calories. 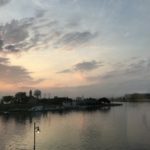 I have to admit Milwaukee has never been on my travel or foodie radar, but these photos have my mouth watering. I may have to add Wisconsin to my list! No kidding. Fooled us too. Definitely worth a visit or two. Thanks for stopping by. The crepes look amazing! Isn’t it fun to explore the best foods any local city has to offer? YES!!! Although we did taste a lot of Milwaukee we’ll need to make another trip up because there’s so much more. Thanks for stopping by Tamara. Oh my goodness, all this sounds (and looks) delicious, although you had me early on at s’mores french toast!! That was a pretty special breakfast treat! Thanks for stopping by Sarah. That’s certainly a varied smorgasboard of cuisine there! I’ve never been to Milwaukee but the food alone is enough to make me want to! This is looks utterly amazing. 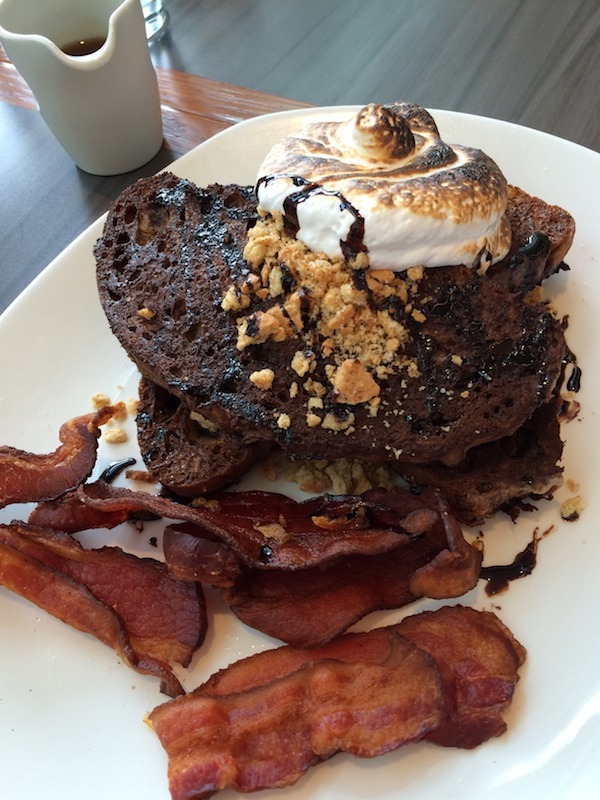 S’mores french toast with Bacon?? Unreal. I haven’t really explored the states as much as I should. I loveeee the foodie and bevie experience and am certainly happy to add Milwaukee to my list. Thank you again for sharing! Amazing amount of food! I wouldn’t know where to go eat first, though that S’mores french toast sounds delicious. I was just in Milwaukee last weekend. We ate and drank A LOT. Had a similar Bloody Mary at Milwaukee Beer Bistro. Instead of a slider garnish, it was a mini-bratwurst sandwich! (It IS Wisconsin, after all.) My favorite, though, had to be the “totchos” (similar to what you’ve pictured from Black Sheep) at Hi Hat Garage on Brady Street. I’d love to go back to Milwaukee again soon to explore some more! Holy moley, that is one bloody mary! Milwaukee is such a great town; it’s been years since I visited. So wonderful to see what’s going on there nowadays! Good heavens you had me with the first photo of that incredible breakfast sandwich but I loved, loved the angle of the ice cream cone that made it look like the Empire State Building in comparison to the humans in the background. Love public markets so would have to visit that one for sure. Everything looks delicious! And that Cheese Burger Bloody Mary looks pretty awesome. It’ll be a must drink/eat when we visit Milwaukee. Mmmmm.. all of these things look so good!! I was in Milwaukee recently and was so blown aaway by how good all their food was. I too used to travel to Milwaukee for work (marketing consulting at Manpower) and I thought most of the food there was – well, awful. So this is heartening to see that they have seriously upped their game ! I am in shock at the Cheeseburger Bloody Mary an the breakfast. I think that they would be the only meal I would be eating on the day. Very interesting. Your tastes of Milwaukee all have me drooling! Good thing it’s time for dinner. The Story Hill BKC Crepe Monsieur is making me crave a crepe right now! I’m also reminded that it’s time make up for the Milwaukee trip I had to miss a few years ago. Definitely time to revisit the whole idea. 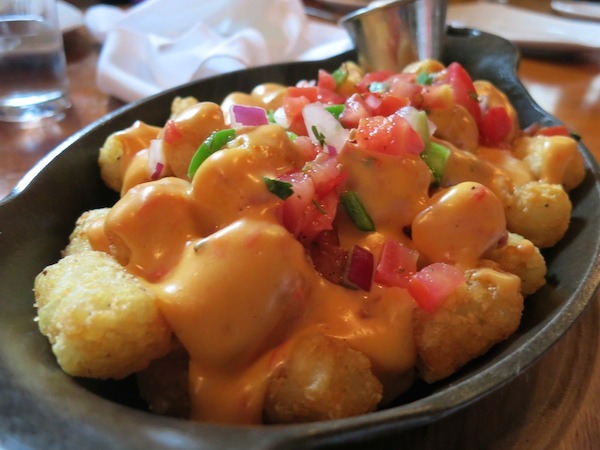 Tater Tot Nachos and S’Mores French Toast alone would make the trip worthwhile! It’s definitely not the Milwaukee I remembered. Well worth the trip. Thanks for stopping by Ursula!